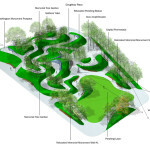 These five finalists are vying to design a memorial for World War I in Washington, D.C. - Archpaper.com These five finalists are vying to design a memorial for World War I in Washington, D.C.
Five finalists have been named in the competition to design a new World War I Memorial in Washington, D.C. 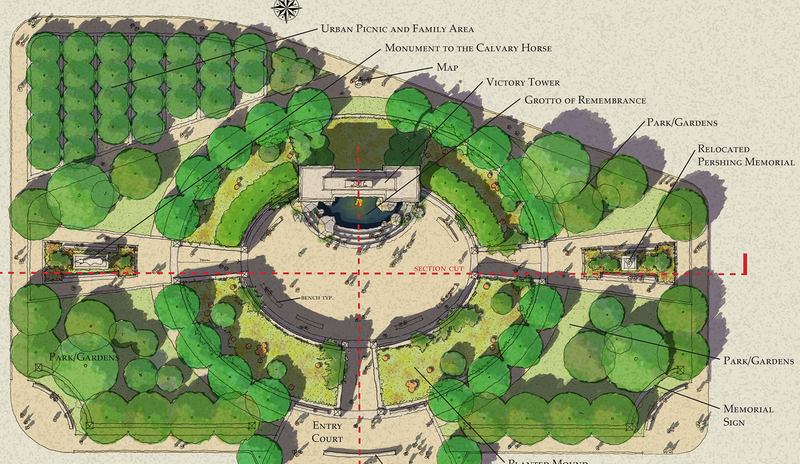 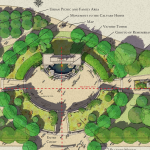 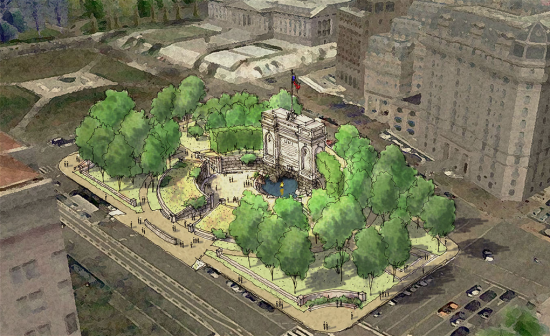 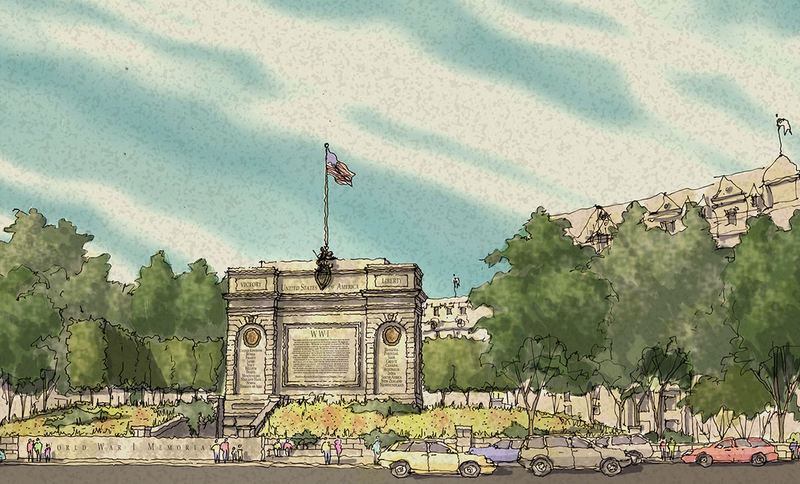 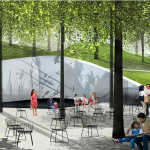 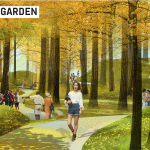 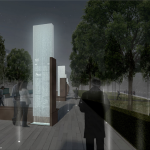 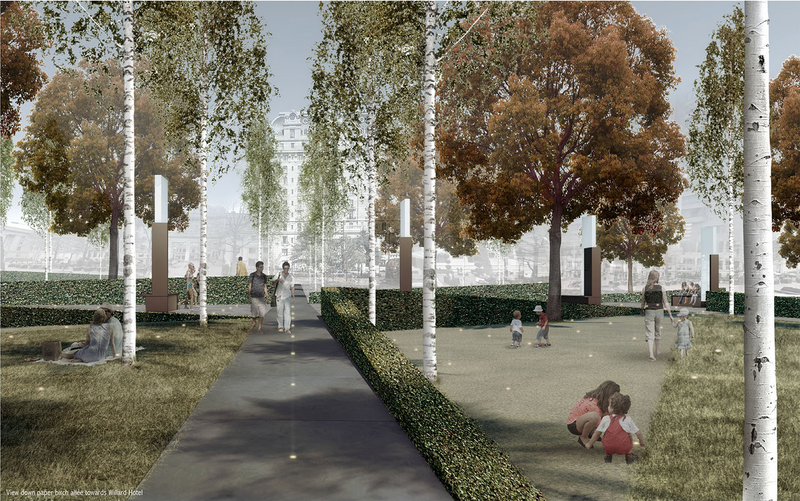 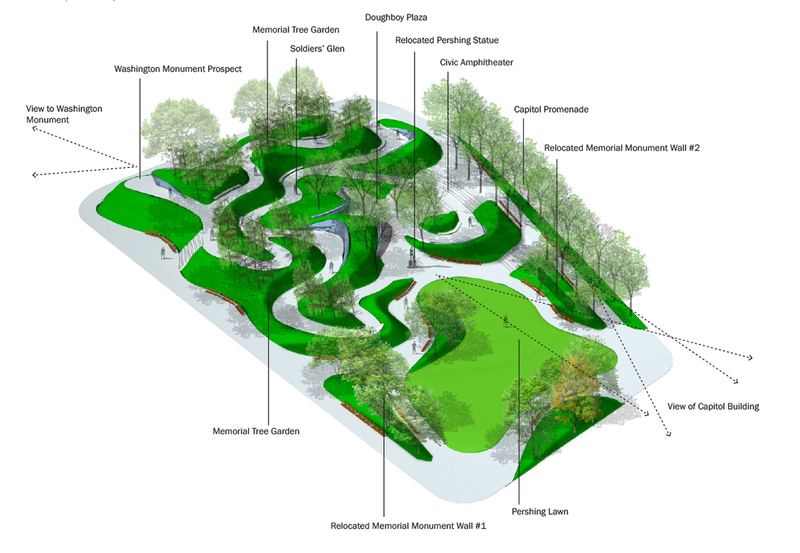 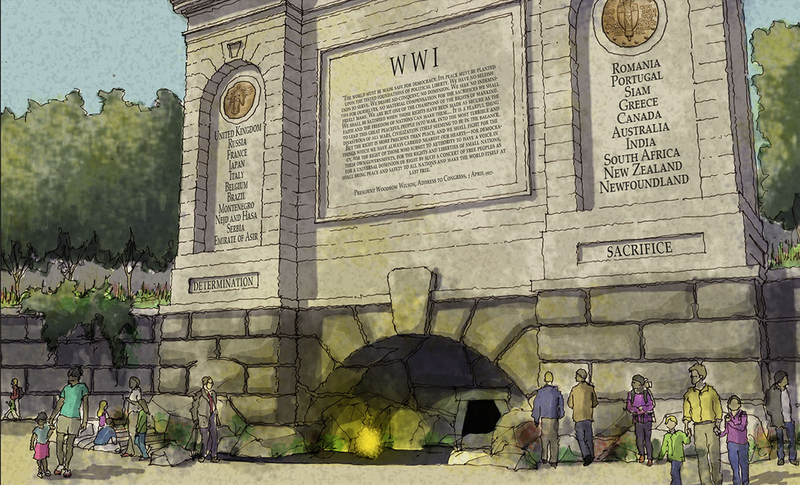 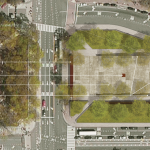 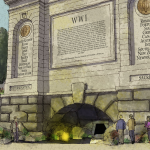 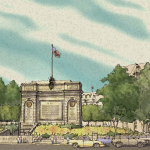 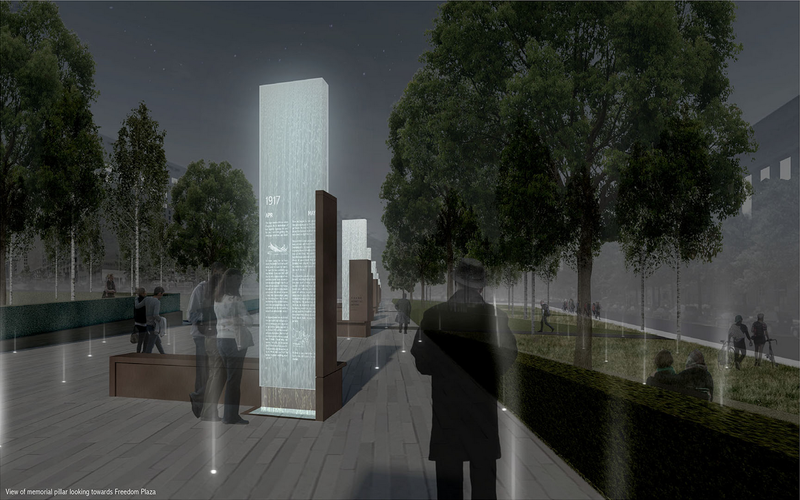 The U.S. World War One Centennial Commission received more than 350 proposals for the memorial, which will rise on Pershing Park near the White House. 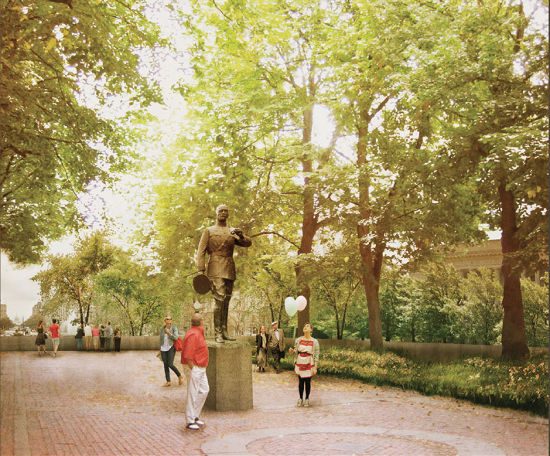 The park is named for John J. Pershing who led the American Expeditionary Force during the war. 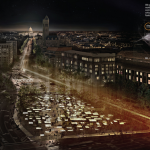 The five teams will work with the Commission and public agencies to refine their plans over the next few months, and a winner will be announced in January. 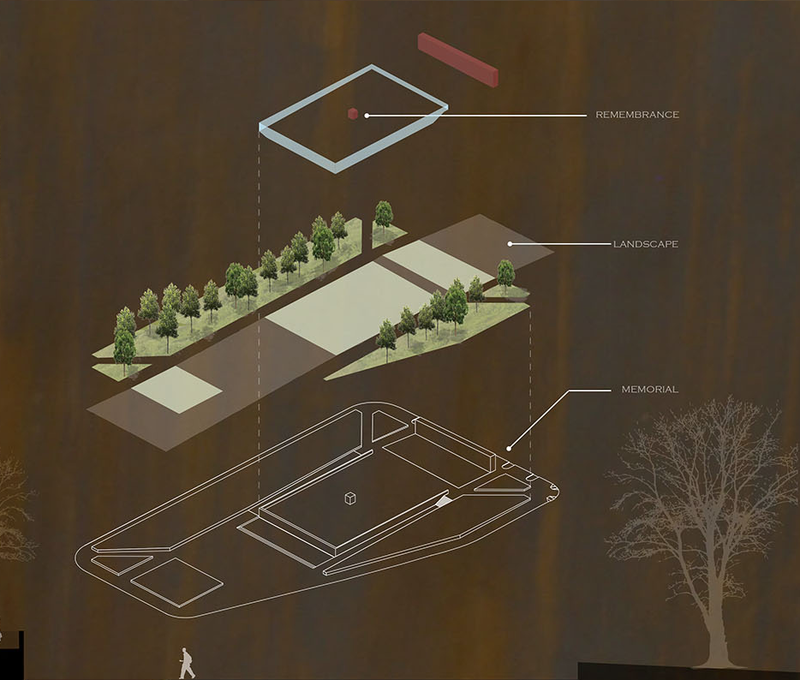 Here is a bit about each of the finalists. 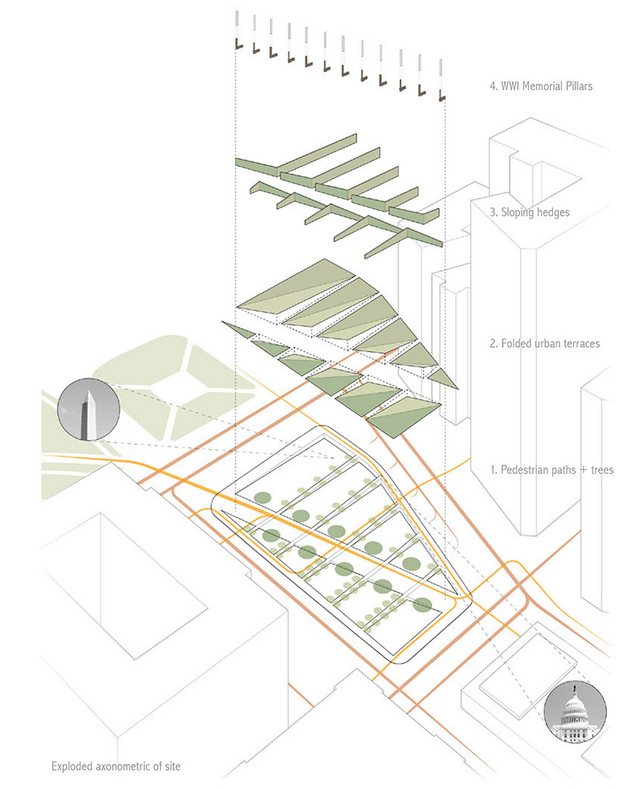 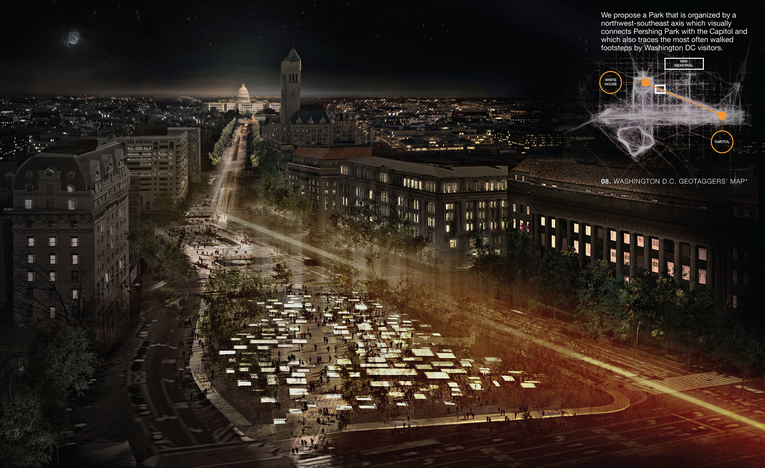 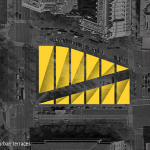 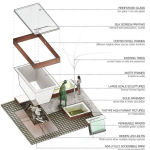 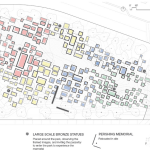 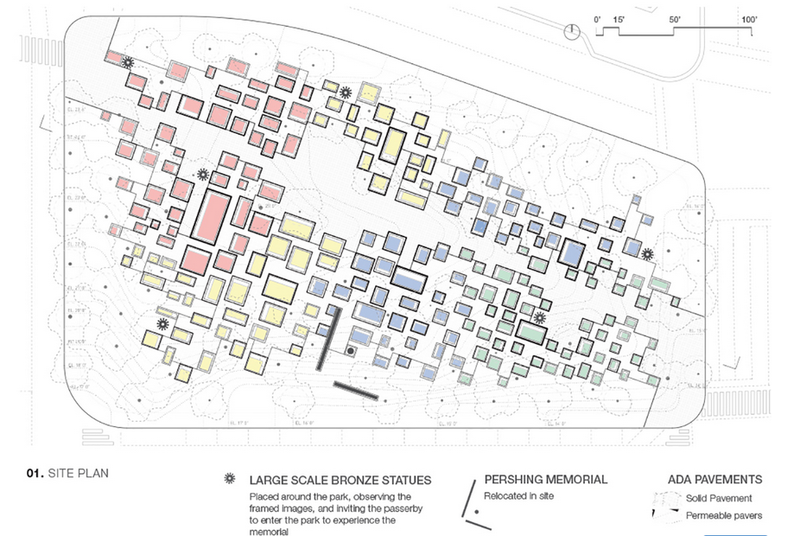 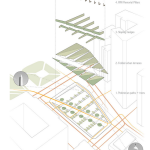 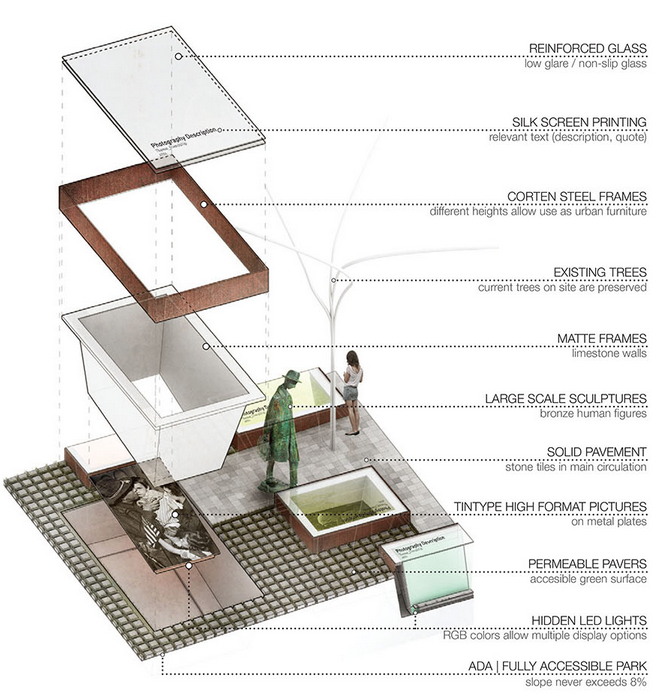 “Plaza to the Forgotten War” by Brian Johnsen, Sebastian Schmaling, and Andrew Cesarz from Johnsen Schmaling Architects. 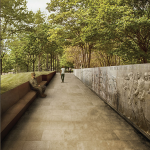 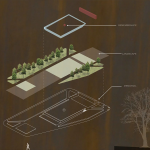 “An American Family Portrait Wall in the Park” by STL Architects in Chicago. 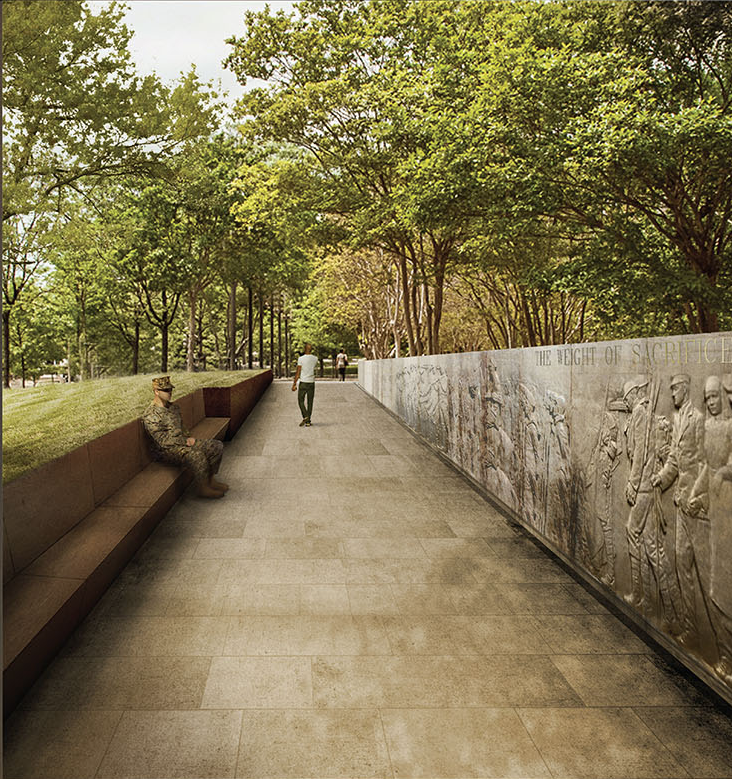 “Heroes’ Green” by Maria Counts of Counts Studio in Brooklyn, NY.